Hernandez-Leal, P, & Kaisers, M. (2017). 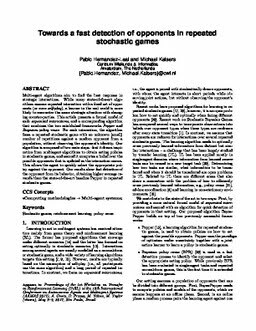 Towards a fast detection of opponents in repeated stochastic games. In Proc. of the 1st Workshop on Transfer in Reinforcement Learning (TiRL).